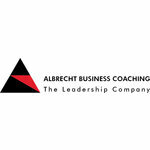 HEAD OF GROUP LOGISTICS m/w - Railway freight Eastern Europe, Albrecht Business Coaching GmbH - Aplica pe eJobs! Having worked for a railway freight provider or an internationally operating carrier or industrial company with CEE focus, you have many years of experience in the railway freight business (incl. contract-, transport- and customs law) and an extensive and viable personal network in this area. Experiences and contacts within the sea freight and truck freight business would be an additional asset. You are an experienced leader, convincing with a good mix of strategic and entrepreneurial thinking and proactive hands on-mentality. Excellent communications skills, organisational talent and pronounced negotiating skills and assertiveness are a must. Fluency in English and good IT-user knowledge (MS Office, Internet, ERP-Ssytems) are required. Together with your team, acting at the individual locations, you are responsible for the conception and control of the internal and external transport logistics groupwide. Working closely with your colleaugues from Sales, Production and Shipping, you take care of requirements planning and the ongoing optimization of processes and task distribution within the local logistics teams. At the same time you are in contact with freight providers, suppliers and clients on a regular basis, to ensure smooth processes and on time-delivery of a large volume of goods. Our client has several national and international locations and is an extremly successful player in his industry. He is scoring with his clients with recognised quality products and a high level of delivery reliability since many years. Due to a forthcoming retirement the following position has to be filled at the Vienna based headquarters. You will meet a strongly international oriented and expanding company, being able to offer you substantive challenges and room for further personal development. Flat hierarchies, short decision paths and professional, highly motivated colleaugues are ideal conditions to experience a fulfilled professional life. The annual compensation package consists of a fixed salary of at least EUR 80.000,- gross plus an annual bonus depending on the company profit. Further overpayment – depending on your qualification and experience – is possible. Do you feel ready? Send your application via the following Link: www.abc-vienna.at/jobs-for-leaders. If you have any question, you can reach us by phone: +43-1-32 000 32-0 or e-Mail: office@abc-vienna.at. We guarantee absolute discretion!